Since 2012, I have been working with a team of stalwart supporters and new guardians to revive the founding spirit of the Oliver Prior Society. All our hard work paid off when in March 2014, almost 100 secondary-level teachers and members of the Modern and Medieval Languages Faculty assembled at my own college Downing for OPS 2014. Teachers came to Downing from across all sectors of the education system and across the country. They heard from Cambridge academics representing ongoing research and new departures in MML. Ian James and Maite Conde opened up topics in cultural criticism with their lectures Technology and the French Avant-garde and Early Cinema and the Brazilian City: reproducing Rio de Janeiro on film. Both talks addressed questions of aesthetics. Dr James examined cultural experiments in form and content happening in early twentieth-century Paris, while Dr Conde talked about the aesthetics of attraction caught on film in Brazil during the same period when city planners consciously tried to recreate the French capital in Rio – even going so far as to import Parisian sparrows! David Midgley’s lecture on contemporary German-Turkish authors addressed tensions – between cultures and nationalities; between high and low cultures. Professor Midgley spoke specifically to the needs of AS and A2-Level teachers wishing to vary and expand reading lists for students preparing for university entrance. Napoleon Katsos, senior lecturer in linguistics and co-founder of the Cambridge Bilingualism Network, gave delegates an up-to-the-minute review of the challenges and advantages of bilingualism in early years teaching. The secondary school teachers present found his conclusions immensely helpful as increasing numbers of bilingual or multilingual children all over the UK are graduating from the primary level into their classrooms. OPS has the potential to be an extremely effective vehicle for the University’s access and outreach initiatives. 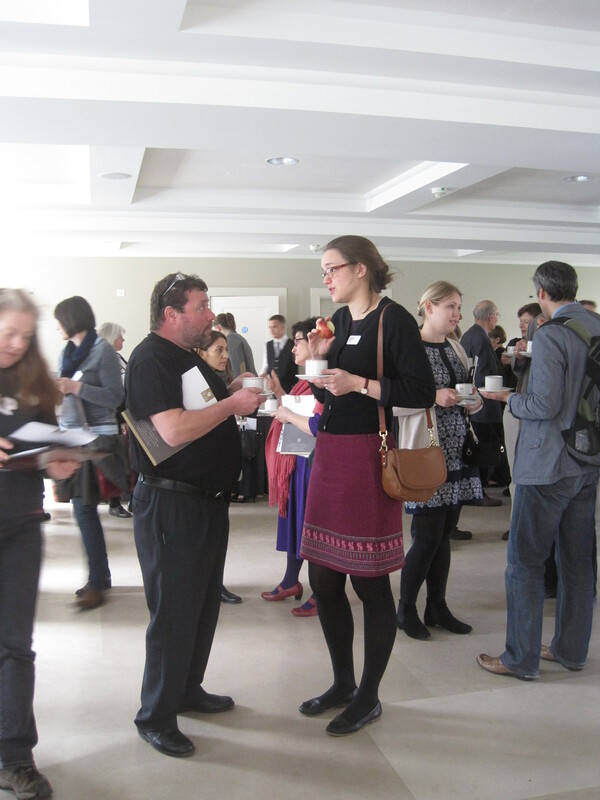 For that reason, we were very pleased to have an equal number of teachers attending from state and independent schools. Jon Beard, Director of Undergraduate Admissions at the Central Admissions Office, spoke at the conference dinner on Friday evening. He tried to dispel some popular misconceptions of Cambridge which damage the confidence of teachers and eligible students who might otherwise apply. Of course, it has to be said that these misconceptions aren’t only a blight on MML admissions. Teachers had the chance to intervene on debates over the undergraduate admissions process in the concluding Q&A as they aimed for a better understanding of what is expected of their best and brightest students preparing Oxbridge applications. Many teachers welcomed the opportunity to debunk myths about Cambridge as a closed, cold and elitist institution of which they are their students should be fearful. But the reach of this session went far beyond Oxbridge and confronted national political issues irritating the teaching and uptake of languages in a constructively-critical discussion. Perhaps most importantly, natural networks were formed between teachers and lecturers over the course of OPS 2014. Many teachers, especially those coming from the state sector, remarked that they rarely have the chance to share their experiences, their successes and concerns with professional peers. And we as academics didn’t keep ourselves at a distance from those emerging networks – we weren’t just there to talk at teachers, but instead to talk with them. We learnt so very much from the delegates through their engaged and enthusiastic evaluation of our practice as educators. Teachers regularly told us that what their experience at OPS 2014 was inspiring and energising. There can be no doubt that the Faculty members who attended the meeting felt the same. With the success of this year’s meeting under our belts, the team behind OPS 2014 can really look forward to March 2015 when the Society meets again at Downing. There is a great deal to do before then to ensure that OPS continues to thrive and grow by attracting more teachers and more MML Faculty members. If you would like more information or would like to become involved, please visit our website www.oliverpriorsociety.org or contact OPS Vice President Ellie Lavan via email: oliverpriorsociety@gmail.com.